Wow! You deserve the Mom of the Year award. Amazing. Porter loves wild kratts, so I will definitely keep this post for reference. You are awesome. Also we don't talk near as often as I would like. We should change that. :) I hope all is well. Wow, Lar! That is amazing. Awesome job! Do you by chance have a way for us to change the invite to use for ourselves? All of your ideas are awesome! I wanted to say THANK YOU for sharing those awesome PDFs!!!! LOVE all these ideas! Thanks for all the hard work you shared. I can't wait to start on my son's party. I just don't have the sewing talent like you do! Gotta find someone to help, quick! I wish you had the pdf for the invitation! Those are cute and I have no idea how to make them! Thank you. I recently made a fill-in able invite. Email me and I will send it to you if you are interested. This is amazing! Thank you ! Would you mind also sending me a copy of the fill in able invite. Could you send me a fill-in-able invite? Wonderful ideas! Would you be willing to send me your fill-in-able invitation? 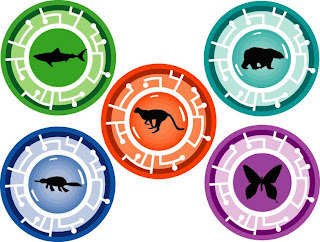 What an awesome collection of ideas for a Wild Kratts party--thank you for sharing them!! Would you mind emailing me the invite? I'm planning a party for my daughter's 4th birthday & she's obsessed with Wild Kratts...these ideas and activities would be perfect! Thank you so much for all these great ideas! I am definitely going to use them for my son's birthday. I was just wondering if you're willing to share your invitation. I realize you worked really hard on it, so I hesitate to ask, but you did such a great job and I would love to use it. Did you create it in Photoshop? Where did you find your images? If you're willing to share your psd file, I would really appreciate it. 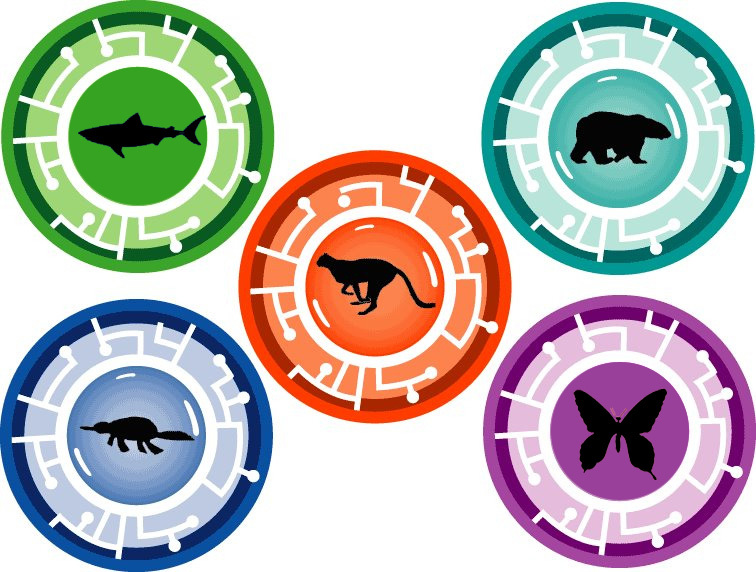 I LOVE the Wild Kratts party printables. Could you PLEASE send me the fill-in-able Invite? Thank you for making my life easier! This is great. I noticed above that you may have the empty fill-in invitation available. Do you mind sharing? Thank you so much for offering to share the birthday invite. My son's birthday is coming up soon and I would love to be able to use yours! My email is wendygallacher@gmail.com Thank you so much, great blog!!! If you are still offering your invite, I would love a copy! I can't seem to find a decent graphic. I love all of your game ideas! I was wondering if you had any other ideas for a game we could play for the beaver disc? I have several kids coming to my son's birthday party that have a peanut allergy. We used peanut butter and pretzel sticks to construct beaver dams to earn that badge, but you could easily substitute canned frosting (chocolate would make convincing mud), cream cheese, or hummus, for peanut butter. Could you send me the invite to use for my son's 7th bday? He would just love it. I totally loved all your ideas! THanks SO much for sharing. My email is chelseal.chase@yahoo.com. I would love to use your invite template for my son's birthday invites. Do you by chance have it available that you could email it to me. It is awesome that you have all this available. Thanks so much! These are great tips! We used them for our Wild Kratts party on the weekend. I'm going to include a link to your blog on mine (www.valleyfamilyfun.ca/inex.php/blog)! Hope that's ok! You did a terrific job on the printables (making my job much easier). If you happen to have the editable invitation I would love a copy of that as well. Did you have the age on the toppers as something that could be edited too? My kids just found the Wild Kratts show in July of this year and it has become a quick favorite. I am thinking if I start now I could get everything ready for my son's bday party next summer! LOL Thanks again. Lauralee - Thank you! My son turned 5 and we had a blast at our WK party! We did the butterfly cocoon / toilet paper, fishing and also bass pinata (trap door, no bat--kinda unKratt like to pummel a creature, no? ), and made beaver dams from pretzels and chocolate frosting on a little paper river that I made, also a pin the tail on the cheetah. The shirts and disks were a big hit, sent them home with extra disks and Natl. Geo animal books from Dollar Tree. Can't thank you enough for sharing! I'm truly grateful to have made his day SO special! Thanks for sharing all your great ideas! Love all the games! Could you share your customizable birthday invite? xconnie@yahoo.com Thanks! Nice party, anyway i liked your birthday invitations. Good job, thanks for sharing and more power to your blog. Thanks for sharing all these great ideas! Can you also send me a copy of your invitation. Wow! Your child's WK party looks and sounds amazing! I am loving this theme for my son's 5th bday party in January! Can you please send me a copy of your invitation? Much thanks! So many great ideas! I will definitely be using some of them as I plan my sons 5th birthday! Could I get a copy of the editable invite? Thanks!! Would you please send me a link to the invitations?? Wow, your hard work paid off! I would love to have the link to the awesome invitations you made. Are you sharing? Thank you for sharing your talents! I wish I could create like this. I noticed you said you were willing to share the invite that can be filled in. I have a boy turning 6, that would love to use this as his invite, if you don't mind sharing. Thanks so much! Lauralee, this is the best!! Would love to have the invite for my little girls party next month. Hands down the best wild kratts party ideas. Thank you so much! Thanks for sharing all your ideas. I would love to get the invite. Hi! What wonderful ideas!! 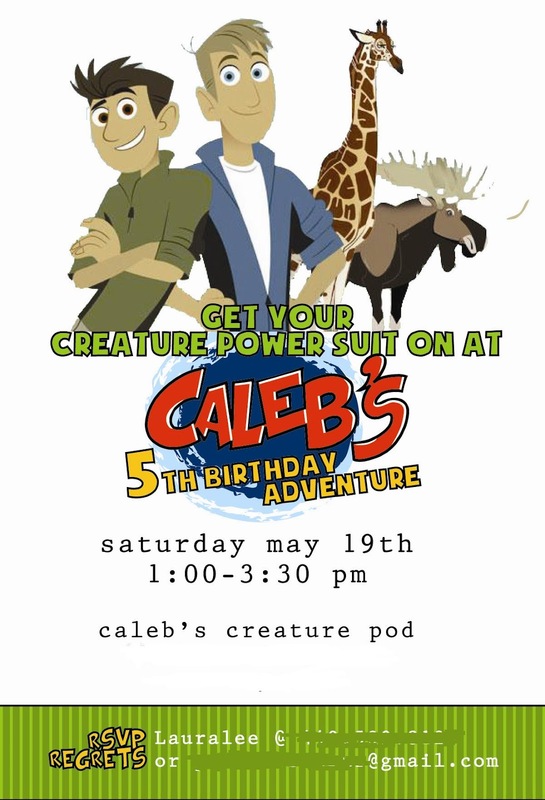 I have a Caleb as well who is turning 5 soon and is in love with the Wild Kratts! I know you did this year's ago, but of you are still sending out the invites I would absolutely appreciate a copy to fill in!! Thanks in advance! hello there, do you mind sending me a copy of the invite you made?